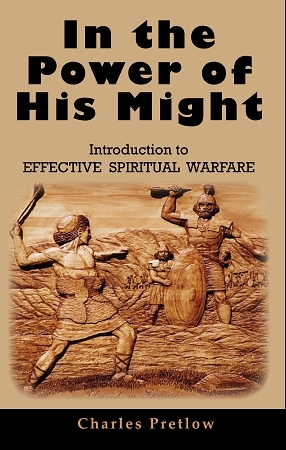 In the Power His Might Introduction to Effective Spiritual Warfare: How to content for God's will to be done and wrestle with the powers of darkness for the cause of Christ has been a hot topic for years, all through the body of Christ. Effective spiritual warfare has been encapsulated and methodized, often portraying Satan and his demonic principalities as mere defeated imps that quiver at any Christian who comes against their agenda in the name of Christ. Some of the teachings are absolutely ludicrous, such as magically putting on the full armor of God with a simple prayer, much like chanting some pagan incantation. There are few teachings grounded in sound doctrine by those who spent time in the trenches fighting Satan and his minions in true faith, suffering from real battles with the forces of hell.Satan has been playing possum with millions of deceived Christians who have embraced false teachings, exactly as Scripture predicted: "Now the Spirit expressly says that in later times some will depart from the faith by giving heed to deceitful spirits and doctrines of demons, through the pretensions of liars whose consciences are seared..." (1 Timothy 4:1, 2). If you are a sincere disciple of Christ, this teaching will help you have a clear understanding on what it takes to do God's bidding against evil and the forces of darkness. Now is the time to learn how to become effective in battle in the true power of Christ. The Army of God: By Dr. Donald Bell: Learn how to be a soldier of light battling end-of-this-age darkness.